Friends, no matter whether you join Network Bulls for CCNA course or CCIE course, labs are open for everyone. You can come and access our labs at 12 in the night or 4 a.m. in the morning. You can come on weekends, you can come on weekdays. Labs are always open for you. Even if you have done your Cisco course training a year back and now you think that you need to brush up your skills or if you think that you need to practice on real devices, you can come and practice.  It’s your own Network Bulls, it’s your own lab, you are part of a family now so don’t hesitate. Friends, if you have done any IT course from Network Bulls and you have missed some of the classes then it is completely fine. It is very common that students sometimes miss some of the classes, don’t worry, we always have some parallel batches going on. You can go to the front desk or the help desk and ask them to align some backup classes for you. They will allow you to sit in the parallel batches and you can easily cover whatever you have missed. This is one of my personal favorites. Suppose, you did your CCNA course training from Network Bulls, one month back or two months back and you are still not clear about the concepts or you need to do some revision. Simply go to the help desk at Network Bulls and register yourself for the upcoming batch of Cisco CCNA course. You can do the course again and again until you feel confident. What separates Network Bulls from other 15000 Cisco training companies in India? It is 100% practical training. Guys, if you have joined Network Bulls for any IT networking course and you are still using that Packet tracer tools, you need to stop it right now. You should practice on real Cisco devices. All devices are available in our world’s biggest Cisco training labs. If you think that you need more devices to practice, you can talk to the lab instructors and he will arrange more devices for you. We have huge Cisco labs, we have multiple CCNA, CCNP and CCIE labs with n numbers of racks. Why practice on simulators, when you can practice on real devices? Guys, if you have joined Network Bulls for any Job guarantee course and you are graduate then you have all the rights to go to the front desk and ask for your written job guarantee letter. Think about it, if you are not getting a written job guarantee letter, you are probably joining a course with job placement assistance, not job placement guarantee. The letter guarantees you that you will keep on getting chances for facing interviews until and unless you get placed. Obviously, you also need to work hard; you also need to improve your knowledge, your tech skills and communication skills to clear the interviews. So, make sure that you get the letter, you work hard, practice on real devices, improve your communication skills, and technical skills as all of this will help you to have a shining career. After completion of the networking course, you have all the rights to post your genuine feedback on our website in form of video or a written testimonial. Now, you even have a facility to post your genuine feedback or review on our website directly. 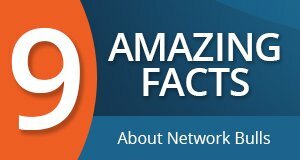 To post your feedback on our website visit www.networkbulls.com and go to the networking course you have done, scroll down and click on the rating. Further, login via facebook and give your rating and feedback. Click on “Post Now” for posting your feedback. Being a student of Network Bulls, if you face any issue, be it a problem with your trainer or your labs or anything else, you can always go to help desk and get your problem resolved. Guys, if your problem does not get resolved within three working days, you can mark an email to Mr. Vikas Kumar on vikas.kumar@networkbulls.com. Once the problem reaches to Mr. Vikas, he screws the entire team for not resolving your problem on the very first day. In addition, he will give you a perfect solution to your problem so never ever hesitate. If you are facing a problem at Network Bulls and you are not telling it to anyone, it is not going to get resolved. If you are not telling us, if you are not complaining, we assume that everything is going fine. So, please don’t hesitate. Just post the complaint in the complaint box which we have in labs and stairs or you can mark an e-mail to Mr. Vikas Kumar, just help us make Network Bulls even better. These key rights are provided to candidates for a happy learning experience at Network Bulls as well as for making them an expert in networking. We provide a wide array of networking courses and aim at imparting the best networking training to candidates. If you are interested in Cisco Courses offered by Network Bulls then Contact Us on 1800-3070-7628 or email us at admin@networkbulls.com.